For the creative minds out there, there is a good news. The Prime Day Sale on Amazon for its Prime members has a lucrative offer on the Samsung Galaxy Note 8. The online portal is offering an additional INR 10,000 flat discount on exchange benefit. For instance, if you wanted to buy the Note 8 earlier, and the exchange benefit for your mobile was around INR 2000, now you can avail a benefit of INR 12,000 with the same phone that you wanted to exchange earlier. This deal is only valid for the Prime Day Sale and the maximum benefit that is offered by Amazon is up to INR 14,000 on the Note 8. 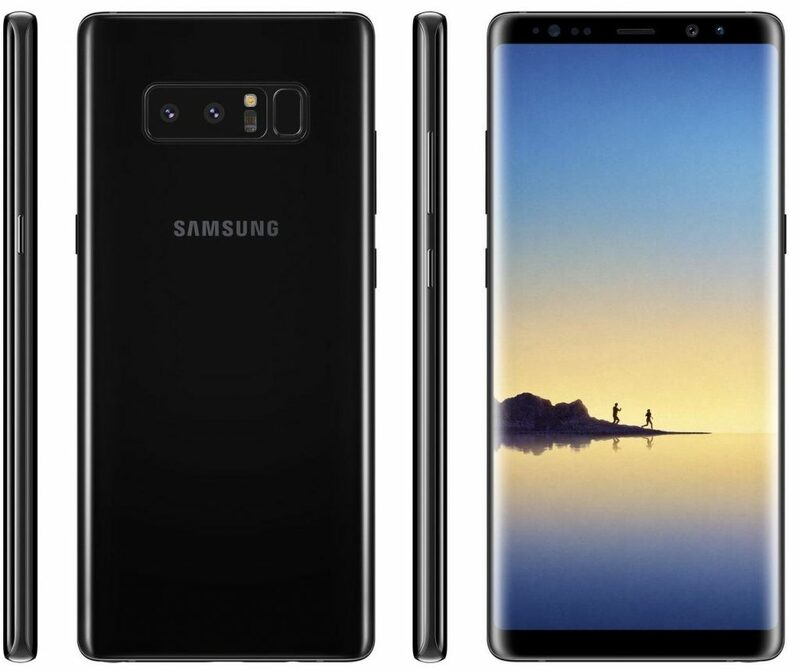 The price of the Note 8 is INR 55,900 but with the deal, the effective price comes to INR 41,900. This includes INR 10,000 flat exchange discount and 10% Cashback for HDFC debit and credit card holders. 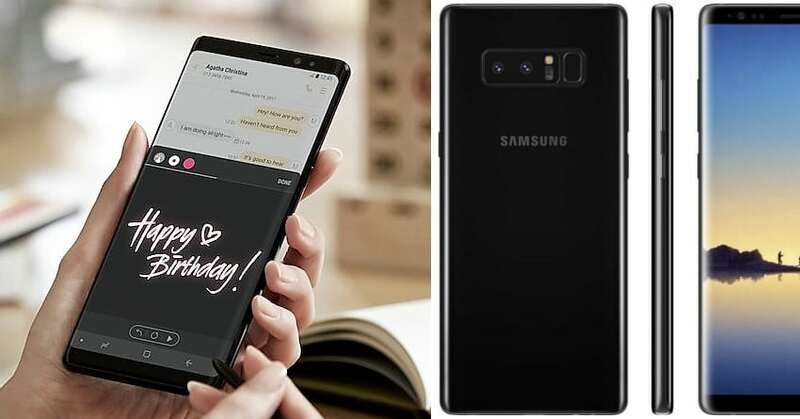 The phone is powered by 8-Core Samsung Exynos 9 Series 8895 processor and has 6GB RAM with 64GB internal memory which can be expanded up to 256GB. The display is a 6.3 inch Quad HD+ unit with a resolution of 1440 x 2960 pixels. There is a dual camera setup on the rear with both the lens featuring a 12 megapixel unit with Optical Image Stabilization. The second lens on the rear is used for wide-angle photography. The phone supports dual SIMs and has a hybrid SIM slot. The main feature of the Note 8 is the S-Pen which performs a variety of functions which make living with the Note 8 quite easy and effective. You can take notes instantly by just popping out the S-Pen. There are also other features which let you draw precisely and with a wide range of brushes and colours. 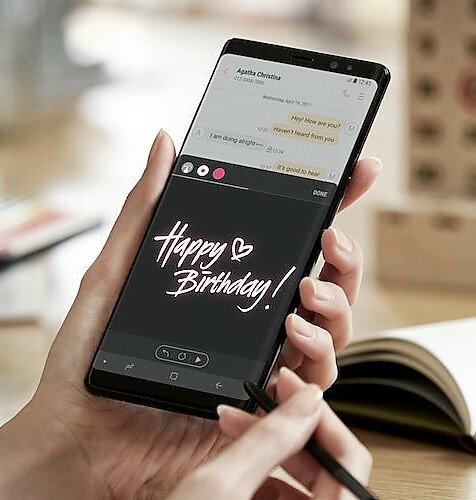 Taking notes or drawing with the S-Pen gives an authentic feel to note-taking and drawing and it can also help you write custom messages in your own handwriting along with custom emojis. The S-Pen makes navigating on the huge screen quite possible.